" India already had some of the strictest gun laws in the world, a vestige of British colonial rule, which aimed to disarm its subjects. Indian law allows citizens to own and carry guns, but it is not a right enshrined in the constitution. Getting a gun license in India is a difficult task that can take years. I’m not certain he has the #authority to demand #enforcement of anything, much less something that runs so afoul of the constitution. Exactly how he would enforce his edict that Sheriffs enforce red flag laws isn’t clear because he doesn’t say. What is he going to do – send the state police after Sheriffs in 2A #sanctuary counties? #LEO versus LEO? What is he going to do if Sheriffs completely ignore the #edicts of a #judge – send state police after Sheriffs? LEO versus LEO? Frankly, he sounds like a #lawyer that’s gotten a little too big for his britches. He needs to be knocked down a notch or three. We take a look at the differing firearm regulations in each country and take into account potential factors that could have an effect on this trend. A study released last year revealed that just six countries make up over half of all gun-related deaths, and they’re all in the Americas. Topped by Brazil with 42,000 deaths, the macabre list is followed by the United States, Mexico, Colombia, Venezuela and Guatemala. One in four people murdered annually is a Brazilian, Colombian, Mexican or Venezuelan, reported the Igarape Institute, and although Latin America only holds 8% of the world’s population, 38% of the world’s murders occur on the continent. Between 2000 and 2006 in South America, 53% of all murders were committed with a firearm, a statistic which skyrockets to 78% in Central America. The global average is 32%. Why are firearm deaths so prevalent in these six countries? We take a look at the differing firearm regulations in each country and take into account potential factors that could have an effect on this trend. Some constraints from previous legislation do still apply, such as restricting the purchasing age to 25. To obtain a permit it is also necessary to pass a psychological test, maintain consistent employment, show proof of a fixed residence and a clean criminal record. However, Bolsonaro’s new legislation created new categories that warrant citizens’ possession of a firearm in their house or business. These include gun collectors, hunters, those living in rural or urban areas with high homicide rates, as well as those responsible for commercial or industrial establishments. The new measure is temporary and will have to be ratified by congress within 180 days. Brazil has one of the highest murder rates in the world, with 27.8 people in each 100,000 murdered in 2016 and 19.4 of those being deaths caused by firearms, reported a JAMA report on Global Mortality from Firearms. A 2015 Map of Violence commissioned by ex-President Dilma Rousseff found that there were around 15 million guns in Brazil (eight per 100 residents), with 6.8 million legally registered and 8.5 million illegal firearms. The study estimated that at least 3.8 million were in the hands of criminals. The Economist stated that rapid urbanisation and inequalities in wealth distribution were some of the largest factors in violent crime, and as one of the most unequal countries on the planet, Brazil backs up this claim. A UNESCO study states that between 2006 and 2013, the top 1% of the richest people in Brazil accrued 25% of all incomes. The Igarape study on Citizen Security in Latin America reported that 90.6% of Brazilian citizens live in cities, and that of the 50 most murderous cities on earth in 2016, Brazilian cities occupied 27 places on the list. A member of the Mexican security forces. Photo courtesy of Pixabay. In order to legally acquire a gun, an individual must obtain a one-year gun permit within 30 days of purchasing a firearm. Requirements for this include being 18-years old, passing mental and physical capacity tests, having fulfilled military service. and holding no criminal convictions. The gun owner must also be part of a shooting club, can get permits for up to 10 weapons and can only buy ammunition for the calibres of guns owned. However, there is a loophole. In a country of nearly 132 million people, there is only one shop that sells firearms, which is located in Mexico City. Despite this limiting factor, Small Arms Survey reported that in 2017, Mexico had 12.9 guns per 100 civilians, although of the 16,809,000 guns estimated in circulation in that year, only 3,118,592 were legally registered. This high level of unregistered firearms has been attributed to Mexico’s proximity with the United States, as thousands of gun retailers sit just over the border. A report on gun trafficking between the US and Mexico revealed that almost 90% of the guns recovered and identified from Mexican crime scenes can be traced back to firearm dealers in the neighbouring country. The Central American country is notorious for its rising crime rates, and Reuters reported that 2018 was the most violent year in Mexican history with over 34,000 homicides. This has been attributed, in part, to struggles between splintered drugs cartels and conflict over the rising market of stolen fuel. In Colombia, according to article 233 of the National Constitution, only the government can control the distribution and fabrication of arms, as well as exercising the right to give licences. To legally acquire a firearm, an individual must be over 18, and will have to prove that the weapon is either necessary for self-defense or is required for their profession. A permit is valid for 10 years, which requires the applicant to pass a background check which considers mental health, physical health as well as criminal and addiction records. However, although possession of guns in the home is allowed, in 2015, then-President Juan Manuel Santos signed a decree that suspended civilian’s ability to carry guns. Due to a subsequent “decreasing trend in homicides and injuries caused by firearms,” this was extended year-by-year, however, on December 24, 2018, President Iván Duque added exceptions to the decree. Decree 2652 will allow the Ministry of Defense more flexibility to give carry permits “for urgent or security reasons […] taking into account, among other factors, the individual conditions of each application.” Publimetro reported that special evaluation committees will be created in order to provide carry permits, which will also be subject to quarterly assessments. The JAMA report states that in 2016 there were 25.9 deaths by firearm per 100,000 people. Gun violence remains problematic in the country, as there is a large disparity between registered and illegal guns in Colombia. The country is estimated to have 4,971,000 guns in circulation, but only 706,210 of them are registered with the Ministry of Defense. Despite its gun woes, Colombia has come a long way from the 1990s when it held the title as “most dangerous country in the world,” and Forbes estimated that there were 300 murders per 100,000 inhabitants. In Venezuela, civilians are not allowed to possess weapons of war, although what this refers to is not specifically defined. Handguns are allowed under licence, and automatic and semi-automatic guns are not specifically prohibited and may be allowed at the discretion of the authorities. In 2002, Congress passed the Law of Disarmament, which aimed to collect illegal weapons as well as prohibiting them in public spaces and where alcohol is sold. It also raised the age for gun possession to 25, as well as added certain prerequisites such as a clean criminal record, passing a psychological exam, gaining a training certificate, and showing legal proof of purchase of the firearm. Gun permits must be renewed every two years and holders may only have one gun with 50 bullets per year. Nicolas Maduro created another disarmament campaign when he came into power in 2013, where citizens were encouraged to hand in their unlicensed guns, and according to Noticias 24 over 26,000 guns were destroyed in 2014. However, as the country entered into crisis, the government stopped releasing official data. 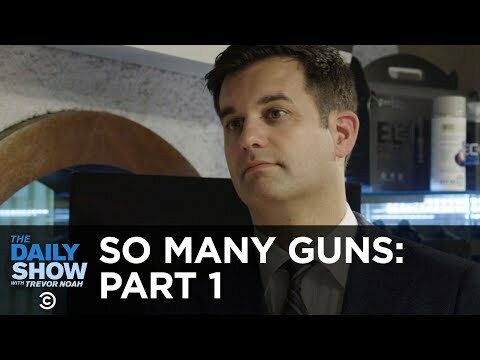 The JAMA study states that there are 18.5 guns per 100 citizens, and estimated the amount of guns in the country at 5,895,000 although there is no data available to determine how many of these are legally registered with the government. The Igarape study also revealed that Venezuela is internally perceived as one of the most dangerous countries, as only 14% of citizens said they felt safe. In 2015, the study continued, just 19% of Venezuelans reported being confident in the police – the lowest score of any country on the planet. The Economist stated that perceived danger and a lack of trust in security forces are influencing factors for increased gun use in society, as citizens feel they need to take matters into their own hands. JAMA reported that there are 38.7 firearm deaths per 100,000 people, the second highest among these six countries. At least 17 of the top most violent countries in the world are Central American or Caribbean, and Guatemala is no exception. It is one of the most dangerous countries on this list, with 32.3 deaths by firearm per 100,000 residents, and as of 2016, the capital city of Guatemala was ranked the 9th most homicidal in the world. Guatemalan law states that “all citizens have the right to have firearms in their place of living,” although they can only be acquired by licensed gun owners. No reason is required to possess a firearm, but owning one for personal security reasons does require government approval. Minimum age is not defined for gun ownership, although there is a minimum age of 25 for carrying firearms, and across the country there are 12.1 firearms per 100 civilians. A gun licence requires proof that the applicant does not suffer from any mental illnesses, that they haven’t deserted either the Guatemalan army or police force, and they must have a clean police record. Carrying guns in public places is permitted with a license. The United States is the only developed country on the list, yet still has a high rate of firearm death at 10.6 per 100,000 citizens. This is higher than other wealthy nations which have similar gun laws, such as Canada (2.1) and much higher than the United Kingdom’s 0.3 or Japan’s 0.2, whose firearm regulation is much stricter. Another difference, which also follows the trend of developed countries, is that most gun deaths (6.5 per 100,000 citizens) were suicides, whereas globally they are more likely to be homicides. The right to bear arms is an intrinsic part of the United States constitution, and owning semi-automatic guns and handguns is permitted without a license in almost all states. Fully automatic weapons, however, are subject to federal licensing and registration. The age restriction is 18-years old for rifles and shotguns, and 21-years for other types of firearm. Individuals are not allowed to bear arms if they have been sentenced to a year of imprisonment in a federal court or two year’s imprisonment in a state court, unless the crime was due to regulation of business practices. The right to own a firearm is also not permitted if the buyer has been convicted of domestic violence or have been discharged under dishonorable conditions from the US armed forces. The Small Arms Survey reports that there are more guns than civilians in the United States, with 120.5 guns per 100 citizens. That adds up to an estimated 393.3 million guns, of which only 1 million are registered. This is due to the fact that guns don’t need to be registered upon purchase in most states. Guns have symbolic, cultural, and economic importance in the United States, where ownership provides a sense of security, allows participation in traditional sports such as hunting, and the industry employs hundreds of thousands of Americans, reported RAND research and analysis group. Is there a correlation between gun regulation and firearm deaths? All the Latin American countries on the list have restrictive gun policies, but this is counteracted by large amounts of unregistered and illegal firearms, and in Mexico’s case, guns trafficked from the U.S. The Economist reported that Latin America is the most urbanised part of the developing world. This recent and concentrated movement of people from the countryside to urban areas has been dogged by inequality, unemployment, poor government services and easy access to firearms. This created a fertile breeding ground for violence, which was left unchecked by government security forces who never managed to gain citizen’s trust. For the United States, the situation is a little different. According to a 2018 Gallup poll, only 15% of Americans have very little or no confidence in the police, with 54% having a “great deal/quite a lot” of confidence, making the police force the third most trusted institution in the country. Although income inequality is on the rise in the US according to the 2018 World Inequality Report, it is still far below countries such as Brazil. Despite this, gun crime remains high. The correlation between high gun ownership and high gun crime could be the primary factor, something which often holds true among wealthy nations even when the US is removed from the equation, reported the HSPH. Among the top 25 countries with the highest firearm-to-civilian ratio, Uruguay was the only country in Latin America to make it on the list. Ultimately, where there are guns there will be gun crime, and limited regulations are likely to exacerbate the issue. Muggah echoed this sentiment in his criticism of Bolsonaro’s recent loosening of gun laws. The causes of gun crime cannot be limited solely to gun restrictions. However, in developed countries such as the United States, which has much higher rates of gun crime than other wealthy nations with more restrictive policies, it could be a factor to consider. But for Latin American countries, where restrictive policies are already in place, what is clear is a lack trustworthy government institutions and internal security that can effectively monitor gun use. A small, white-paneled room – strewn with stuffed animals, makeup accessories, a panda backpack and mattress – is believed to be the hellish makeshift prison where Jayme Closs was held for 88 excruciating days before her miraculous Thursday escape. ...in Chicago, Alderman Ed Burke’s record has defined him as an aggressive pusher of #gun #control. But a bombshell 37-page #criminal complaint charging Burke with extortion has exposed him to be yet another phony, hypocritical Anti-Second Amendment legislator. Federal prosecutors now report that nearly two dozen #firearms were discovered in Alderman Ed #Burke’s offices during their raids in November. What a surprise! This longtime #gun-control opponent was armed to the teeth, while denying the suffering and helpless residents of #Chicago a chance to defend their family and property. Bonjour. Pourquoi #gun #weapon ? Tu es collectionneur ? Bonjour tout le monde, je suis #nouveauici. Mes centres d'intérêt sont #actualité-alternative, #actualité-des-luttes, #airsoft, #franceinsoumise, #french, #gilet-jaune-les-vrais, #giletjaune, #giletjaunes, #gun, #politique, #revolulution, #syndicat et #weapon. I Built a PVC gun. the barrel is ~30cm long, it uses twenty match heads and fires a ball of tinfoil. It’s inspired by the match gun featured in the U.S. Army TM 31-210 Improvised Munition Handbook. The primer is based on Grant Thompson's Thunder Caps and the gunpowder is made up of 3 parts powdered match heads to 1 part powdered charcoal. Last week on Twitter, the president misspelled "smoking." You can imagine how that went over. I had been using the slow-motion mode on my sisters phone to analyze the shots. The video below shows my most successful test, taken on monday. (and for some reason the slowmotion mode adds really annoying music). Unfortunately, is seems that when firing a teaspoon of rice,15 matchheads only gives a range of 2-3 meters. It would take an entire box of matches (45) to give the gun a halfway decent range. That seems slightly unreasonable to my friends. People have been acting for a long time like the United States is the world’s hotbed of mass public shootings. This belief is constantly used to push for more gun control. oops. She's black. Intruder is white. Breaks all the narratives. Money quote: "she was thankful she had protection because she didn’t think she could fight off the man." Over the last couple of weeks, #video of a #pupil holding a #gun to a #teacher’s head in #France has provoked discussion about #diversity related disorder and #violence, usually euphemistically labelled the “security situation” in France. “Universal background checks, all of that… "
Veritas Undercover Exposes MO Sen. McCaskill Hiding Liberal Agenda From Moderate Voters: "People Just Can't Know That"
A Music Collection with more than 260 Songs. ALL FREE TO DOWNLOAD! What would happen if SpaceX used a space cannon instead of its rocket boosters? One YouTube creator takes a few minutes to explain this hypothetical scenario.